Equine Guelph has announced that Intercity Insurance will be sponsoring Hoofprints, a new memorial program celebrating the lives of horses. Hoofprints is an online initiative created to remember and honour the memory of deceased horses through stories and pictures. “Hoofprints provides grieving horse owners a positive means to cope with the devastating loss and a loving way to remember horses through sharing their memories with other horse lovers – folks who care and understand,” says Gayle Ecker, director of Equine Guelph. Equine Guelph invites those who have lost a horse (recently or in the past) to pay tribute by sending a photo and message of remembrance along with a memorial gift in the name of the horse. 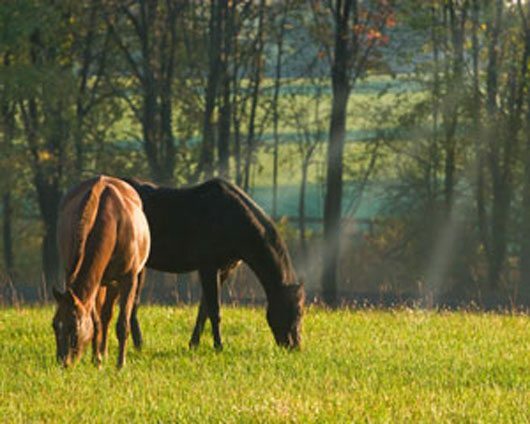 Gifts to Equine Guelph help make a difference in the lives of horses through the funding of equine research, education, performance, healthcare and industry development.